Ok it’s not Spring yet! Hopes of a warm weekend dashed again, snow and wind strike again. No choice but search the cupboards for a bag of strong flour and some yeast – sure I have some somewhere. 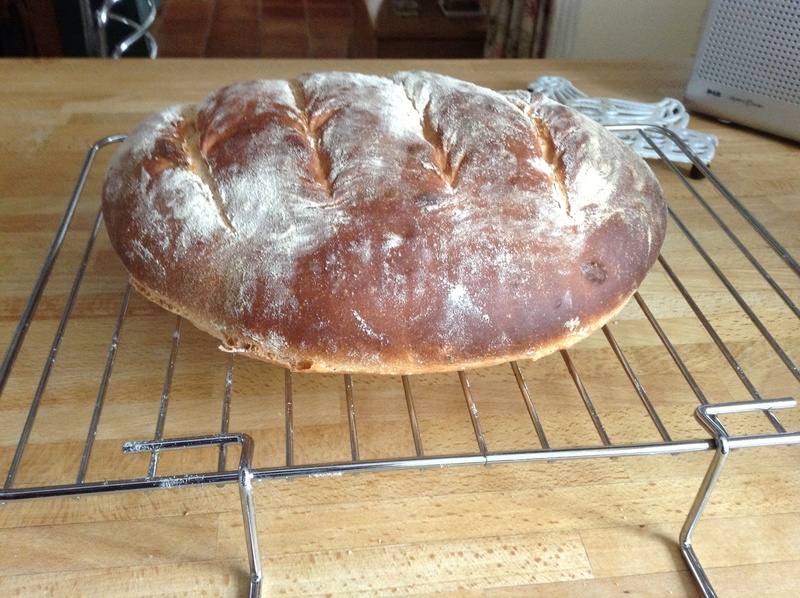 After a short search yep got all the ingredients to make Paul Hollywood”s Bloomer. Not convinced the yeast is at it’s best still 6 hours later I have a loaf, house smells great and the anticipation is building. Lookimg outside only thing moving is snow not seen a car or tractor for about 2 days and no Sainsburys delivery so it’s freezer pot luck with a slice of homemade bread. TV and knitting with long fire the day isn’t so bad after all – but roll on sunshine. fresh bed, tv, knitting and a fire. sounds like a perfect day to me!